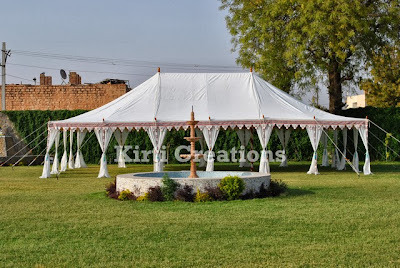 As we know that tents are the main aspect of any party, to fill your party with charm you need to choose perfect tent which suits your party’s theme and of course your choice. 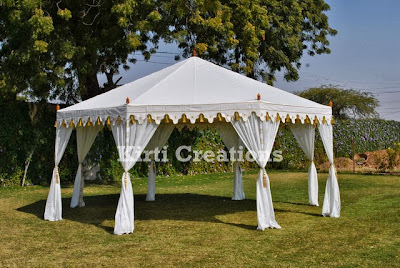 Today I am introducing here a Tradition Tent which called Pergola Tents . This tent is combo pack of tradition touch with modern look and that’s the reason people gets more attracted toward this tent. Pergola Tents contain more and more verities inside their majestic box which I will described to you to my next post. 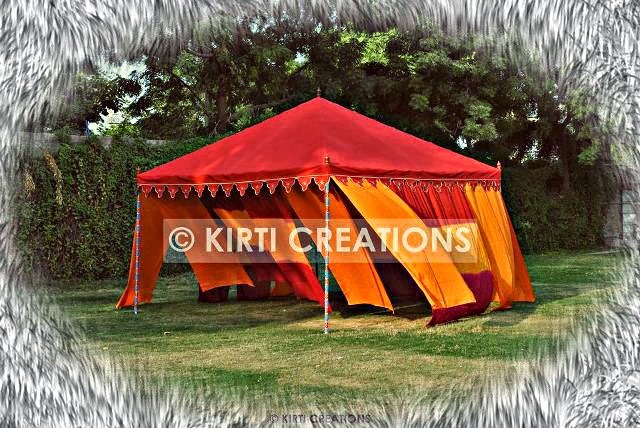 Now we move to these tents which are in red and orange color, but there are benefits for our buyer that they can change the color of canvas according to their choice. Reliable, robust, majestic look and of course its comfort nature are addition benefit of these tent. 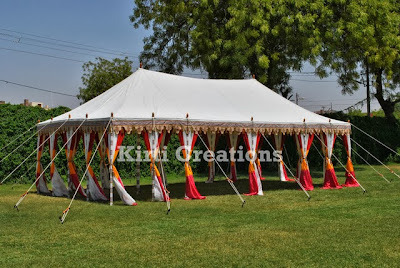 The price does not matter when you are choosing best and good looking tent but we are as Raj Tent suppliers provide these all facilities in economical price. Give your though about this tent. With traditional boundary and amazing drapes, we design the unique hand crafted covering in standard sizes. 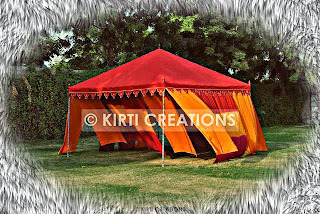 The great color combination of covering increases the beauty of this handmade tents. Setting up is simple and easy. 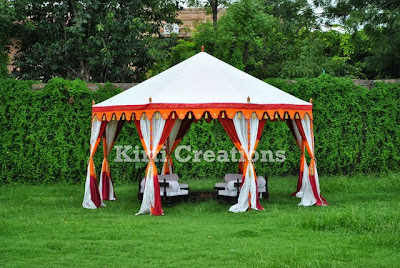 Our magnificent handmade tent is icon of royals, this tent that has been attractively developed to give it a wealthy look. 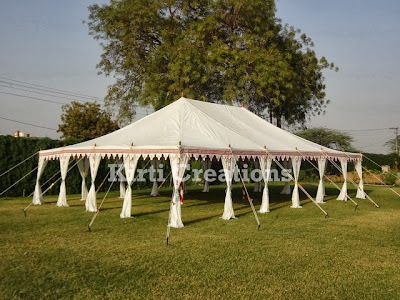 We are the popular and authentic provider of the amazing handmade tent in elegant pale yellow of fabric with side reinforced basics and eye-catching boundary. It is huge and ideal for all types of events. 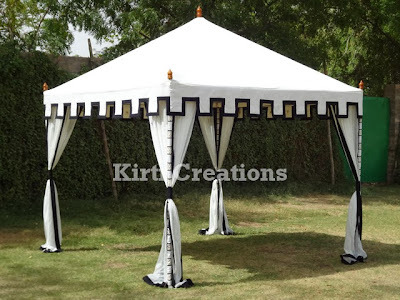 We are specific in providing of visual hand crafted tent in white color of fabric with black boundary. Water resistant materials, large space and collapsed drapes from the posts increase the originality of this hand crafted canvas. Based on a conventional Indian design, the covering made a fantastic background to the amazing garden that was designed by raj tent team. At the pre show beverages celebration organized inside the covering.Raj tent have created lot of canvas with good color combination. Stunning curtains drapes make it more attractive in it's own group. Our wonderful handmade tent is designed with the eye capturing boundary and fantastic drapes. It appears with posts and side reinforced basics. Setting up is easy. We are making unfaltering initiatives to enhance the quality of our products and increase our client's fulfillment. Our conventional Handmade Tent is available in elegant white-colored shade with exclusive boundary.